Gasoline shortages in New Jersey resulted in miles-long lines, and Friday, the attorney general brought price gouging cases against seven gas stations. New Jersey authorities filed civil suits Friday accusing seven gas stations and one hotel of price gouging in the wake of Hurricane Sandy. "New Jersey has a tough price gouging law to ensure that profiteers will not take unfair advantage of people at their most vulnerable -- those who have been displaced from their homes, have limited resources, and are seeking fuel, shelter and the basic necessities of life," said Governor Chris Christie. "Businesses operating in New Jersey will obey our laws -- or face significant penalties." One gas station, a Lukoil station in Paterson, is accused of charging $5.50 per gallon for regular gasoline -- an increase of $2.05 per gallon, or 59%, above its pre-storm prices. The other stations are accused of price hikes of between 17% and 34%. "We have received no indication that these defendants faced costs that would have made these excessive price increases necessary or justifiable," said Attorney General Jeffrey Chiesa. 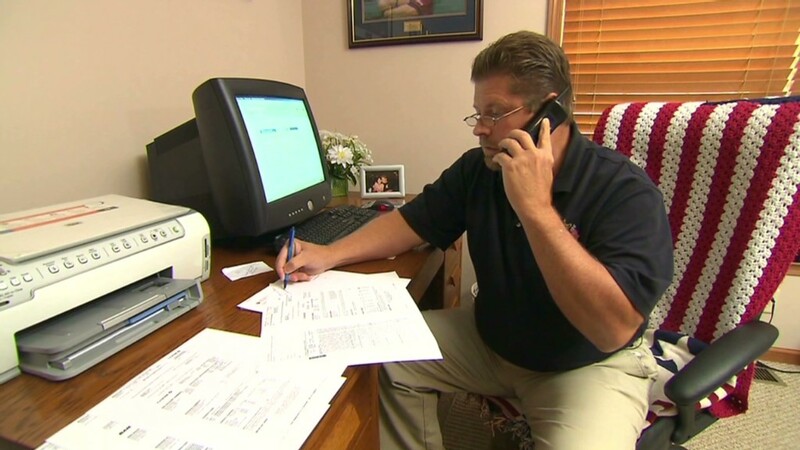 He said the state is investigating hundreds of other complaints. There were more than 2,000 complaints of price gouging since the state of emergency was declared on Oct. 27. New Jersey's price gouging statute says merchants can not charge more than 10% above the price at which merchandise was sold during the normal course of business prior to the state of emergency. If a merchant faces additional costs during the emergency, prices may not exceed 10% above the normal markup from cost. While none of those named in the suits Friday face criminal charges, if found guilty of gouging, the defendants face up to $10,000 for the first offense and up to $20,000 for subsequent offenses. Each sale of merchandise is considered a separate offense. New York Attorney General Eric Schneiderman announced Monday that he was also investigating reports of price gouging. New York law prohibits merchants from selling products at "unconscionably excessive" prices during "an abnormal disruption of the market." The large number of gas stations in the two states either without gasoline or without the power necessary to pump resulted in gas lines that stretched more than a mile in some cases. 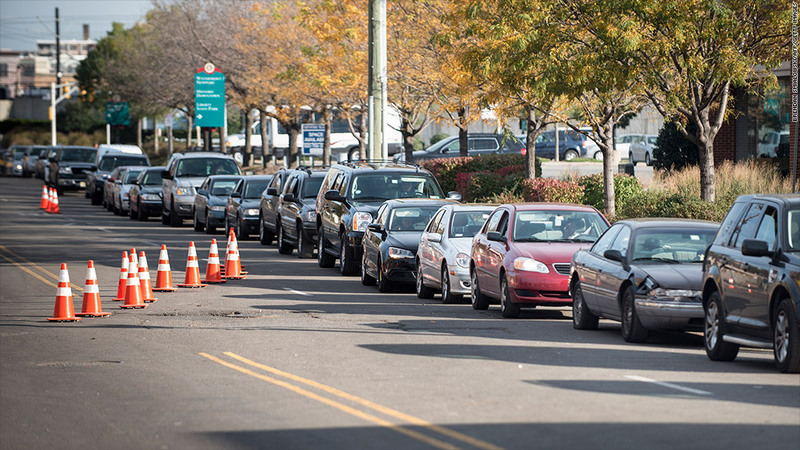 Consumers had to wait hours in line for gas to fuel their vehicles or to power generators. On Nov. 3, New Jersey imposed gas rationing in the most affected counties, using license plate numbers to limit what day a motorist could buy gas. A similar rationing plan went into effect in New York City and parts of Long Island on Friday. The other New Jersey gas stations accused of gouging include a Gulf station in Clifton, a Lukoil station and a Sunoco station in Newark, a BP station in Perth Amboy, an Exxon station in Lyndhurst and a Delta Gas station in Bloomfield. All the stations are owned by separate businesses, not the oil companies whose brand of gasoline they sell. The hotel accused of gouging is the Howard Johnson Express in Parsippany, which is accused of raising the price of a room 32% to $119 per night from a high of $90 a night before the storm. It is also owned by an independent business. The Lukoil in Newark had no comment; the rest of the owners or managers of the accused businesses were not available for comment.